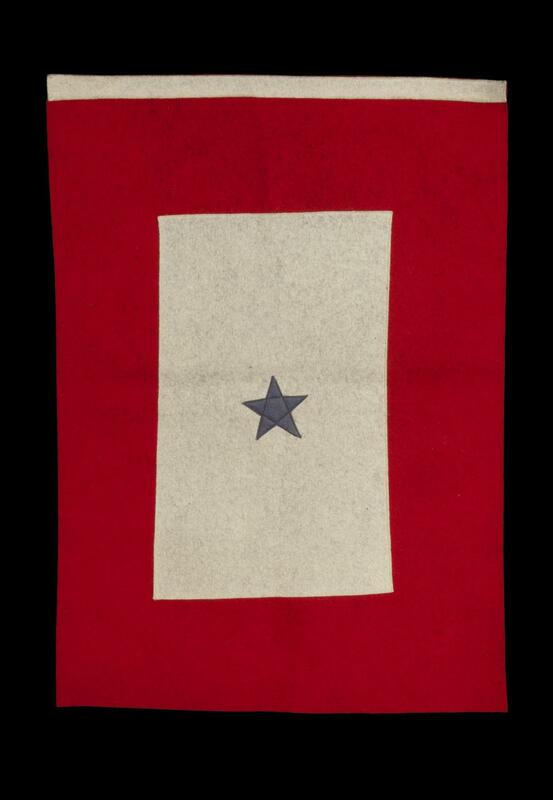 Flags like this one were hung in the window of a house to indicate that a person from that home was in the service. Flags could have multiple blue stars to indicate that multiple members of the household were serving in the war. When someone died while serving, a gold star would be placed over the blue one, to indicate their passing. This is how the Gold Star Rolls got their name. This flag was used by the family of Harvey Mears, who served in World War I and World War II.